... to this .... in just one week! 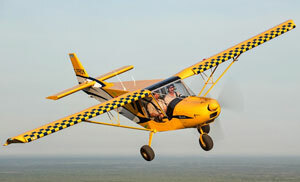 Help build an airplane in 7 days at EAA AirVenture Oshkosh 2014! 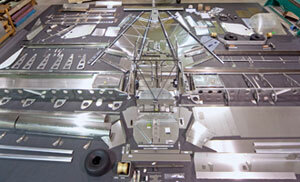 EAA is the home for those who build and restore aircraft and at EAA AirVenture Oshkosh 2014, tens of thousands of attendees can share the building experience through the "One Week Wonder" project - assembling a Zenith CH 750 kit aircraft during the seven-day convention. The goal is to completely construct and taxi test the aircraft by the end of the weeklong event beginning on July 28 and continuing through completion or the event's final day on August 3. In the One Week Wonder display area, which will be located near the EAA Welcome Center in the main crossroads of the AirVenture grounds, visitors will find interactive displays that highlight the aircraft construction process, the variety of aircraft available for builders, and information on getting started on an aircraft project.